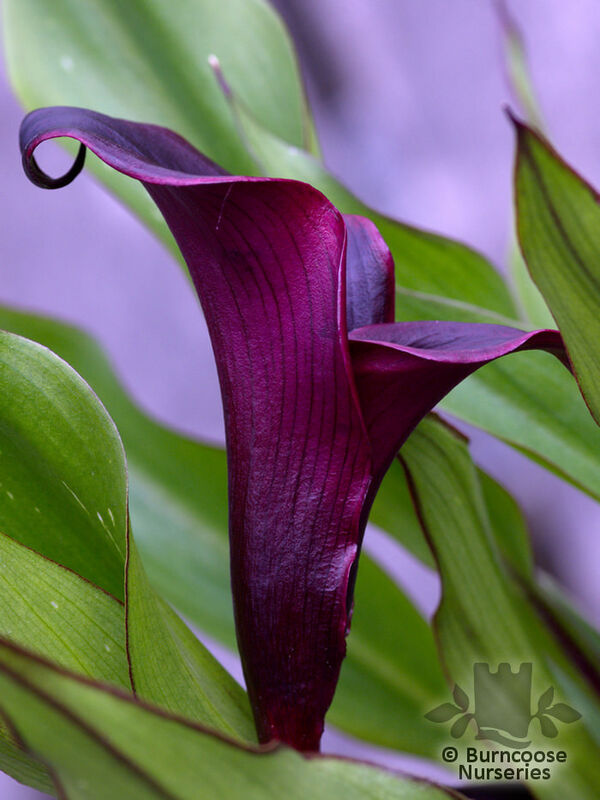 Exotic tuberous or rhizomatous plants from moist soils, swamps and lake margins in southern and East Africa, many hardy enough to grace pondsides or to use as a marginal aquatic in the UK and appearing now in darker pinks and purples. 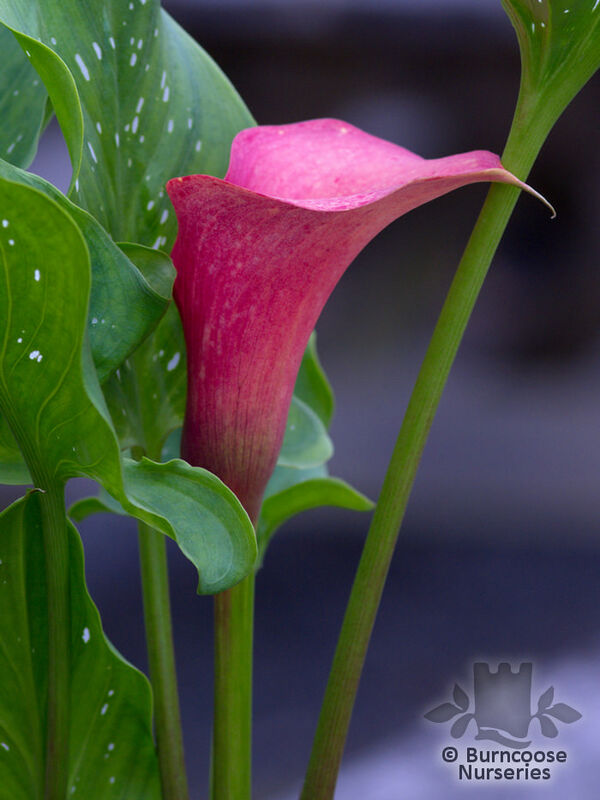 Z. aethiopica is commonly known as arum lily, Z. elliottiana as calla lily though they not arums, lilies or callas. 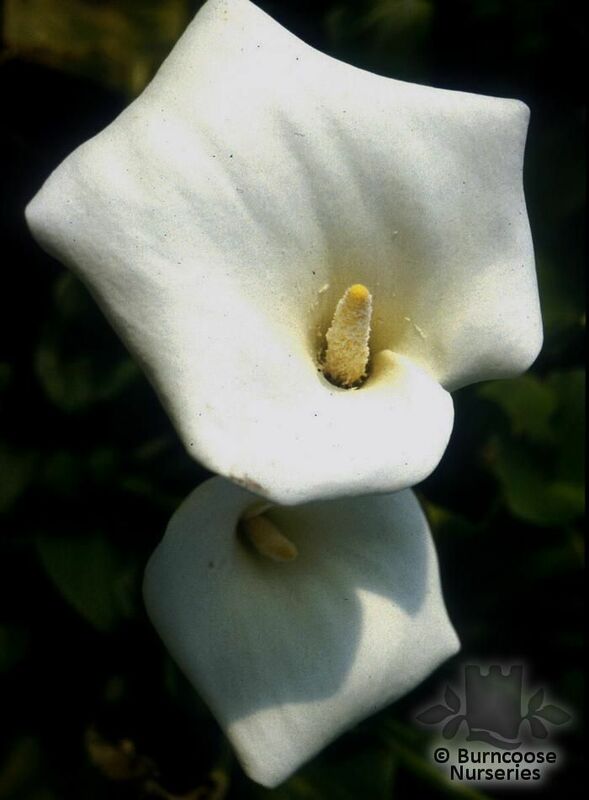 Z. aethiopica is naturalised in many parts of the world. 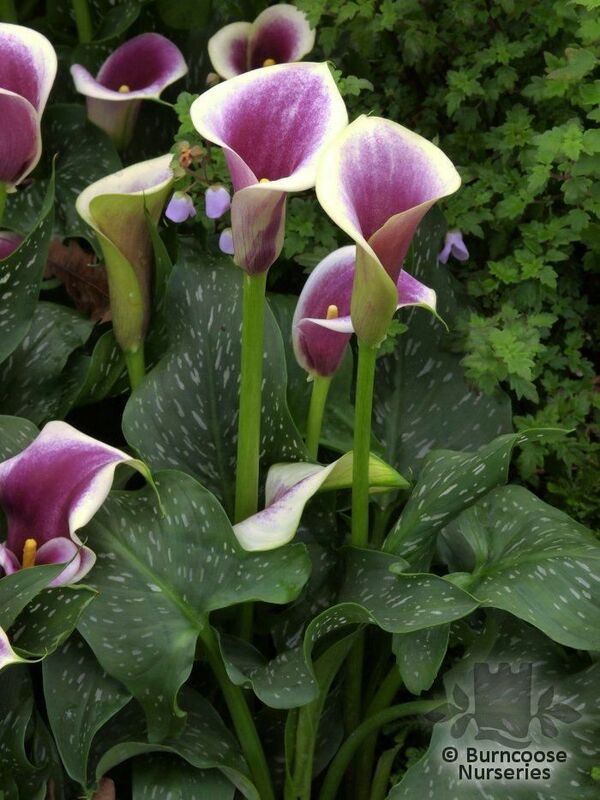 Less hardy varieties can be grown as houseplants. 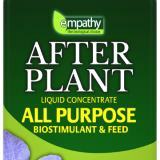 Additional Features	- Pests & Diseases - aphids, thrips, fungal and bacterial rots and viruses. 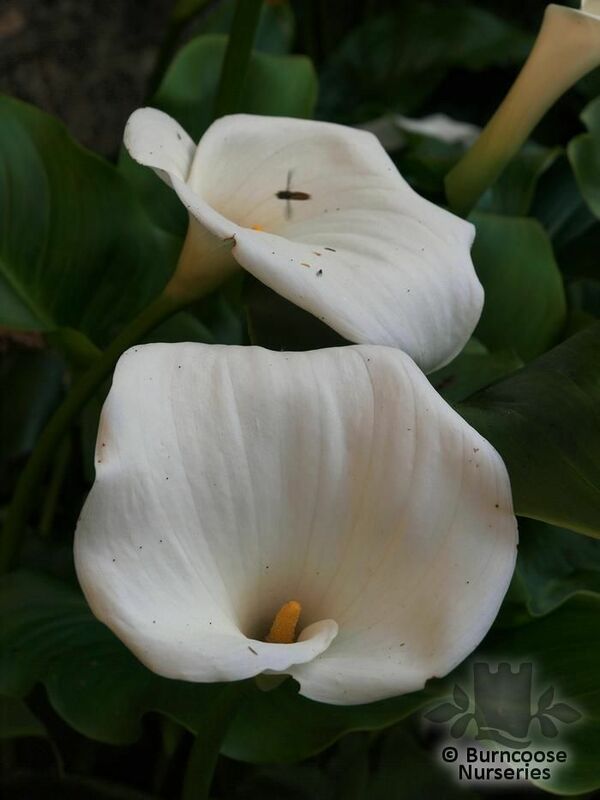 Commonly known as: Arum lily, Pig lily, Trumpet lily. 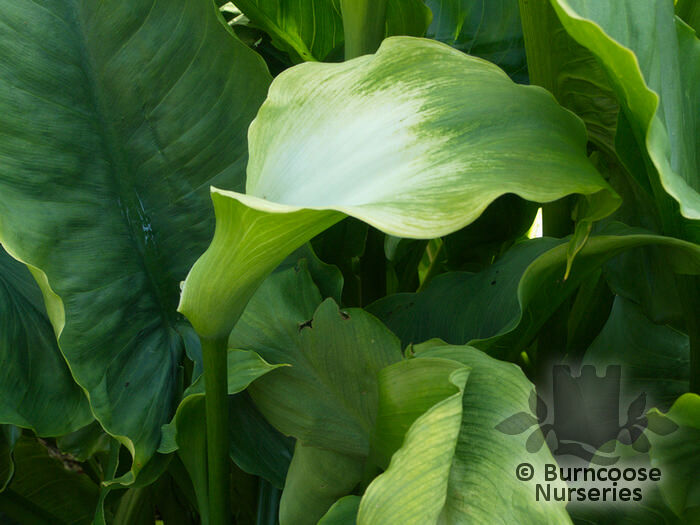 Commonly known as: Golden arum, Golden calla.